The phrase “Swiss Army Knife of audio products” gets bandied about a lot in the high end, but the Audio Research GSi75 truly is it. 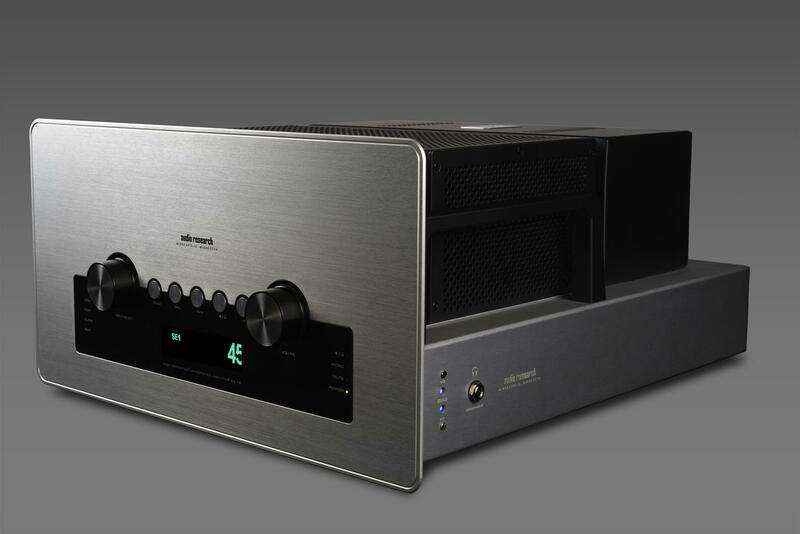 ARC modestly describes the tube-based GSi75 in its user manual as an integrated amplifier. Well, yes. But talking about burying the lead, as they say in journalism. After popping the GSi75 out of its box, I quickly discovered that there is a lot more to it than 75 watts per channel. The GSi75 has a wealth of controls and options packed into its relatively modest-sized chassis. It contains both a DAC and phonostage. Each is of high quality. The DAC provides you with upsampling options, or you can just stick with the native sampling rate of 44.1kHz. I found I liked sticking with the basic sampling rate best. Will it sound different at other rates? Yes. But better? I’m not so sure. Then there is the nifty phonostage section. It offers the option to alter the input impedance on the fly with five different loads—100, 200, 500, 1k, and 47k ohms. If you like to fiddle with—or to put it more politely, tailor—the sound, then you can play with this unit to your heart’s content. It’s also important to note that this product, to my surprise, offers single-ended inputs only. No big deal. Some designers will tell you they continue to prefer single-ended, while others swear by balanced. Most ARC gear these days seems to fall into the latter camp. ARC also offers the option to employ the SE3 input of the GSi75 as a standard volume-controlled input or as a “unity gain” input. This permits the user to combine the GSi75 with a multichannel surround-sound processor. But these aspects are, of course, only part of the story. The other half is that all the gee-whiz features of the ARC are allied to a bunch of KT150 output tubes coupled with the Russian high-transconductance 6H30 tube on the input. Audio Research likes to drive its gear hard, and the 6H30 allows it to do that. The KT150 is a tube that’s come on strong in the past few years, displacing the venerable KT88 and the not-so-venerable 6550. The advantage of the KT150 is simple: It can take a lot higher plate voltage and you can get more watts out of it. Fewer tubes equals simpler circuitry, always a good thing in the high end. ARC supplies a plastic tool to adjust bias to 65mA via volume pots on the side of the amplifier. Negative feedback is pre-set at a judicious 4dB. So what does the GSi75 actually sound like? Not what I expected. My memories, admittedly from years ago, of the ARC Ref II Mk. 1 were of a very full-bodied and bloomy sound. I know that ARC has moved somewhat toward a more neutral presentation and that it’s sometimes accused of having a whitish sound. Still, I wasn’t prepared for the crystalline clarity, coupled with pretty much zero tube rush, that emanated from the GSi75. This is one of—maybe the—quietest piece of tube gear that I’ve heard in recent years. Maybe it’s a function of no interconnect from preamp to amplifier, but something dandy is going on with the GSi75. If you’re one of those people who turns up his nose at integrated units, then the purity of the ARC might help change your mind. Unlike the Jadis DA88S that I reviewed for TAS last year, the ARC doesn’t command your attention with whiplash dynamics or tremendous bloom. Instead, it stages more of a disappearing act. It’s always firmly in control and may have a little less perceived power than the blissful Jadis. But I wager that it’s more neutral. Top to bottom it sounded of a piece, with nothing in the frequency spectrum protruding.